This is a four-day event for the entire family or for anyone who admires the beauty of kimono -- traditional Japanese garments for which the country is very famous. Now in its 15th year, this popular kimono bargain sale event attracts repeat visitors and newcomers alike. Including wedding kimono, traditional silk kimono and washable varieties as well as obi and kimono sets for children, a large selection of second-hand kimono and accessories will be for sale at bargain prices starting at 2,000 yen. The featured items of this year’s events are beautiful tsurushi-hina, or hanging hina doll ornaments, made with kimono fabric. Hina dolls are traditionally displayed to celebrate the Girls’ Day Festival, which takes place on March 3, but they can also be enjoyed as works of art. The kimono tsurushi-hina are available in two lengths, 170cm and 200cm, for 40,000 yen and up. Please note that the ornaments are available in limited quantities only. The event also features the Chiho Couture booth, which offers a wide variety of clothing and fashion accessories made by recycling old kimono. 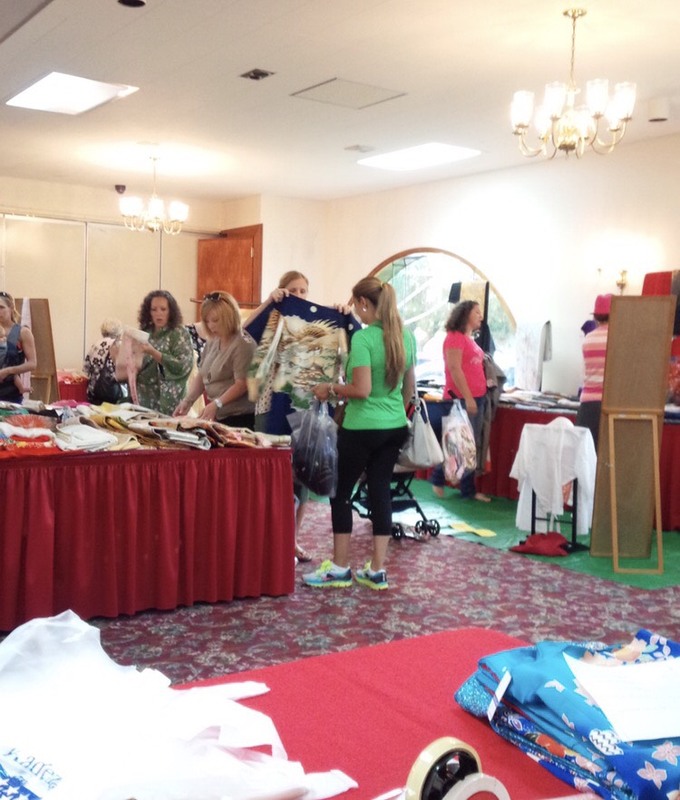 The sale will take place at two locations, Kadena Air Base Officers’ Club on Oct. 6-7, and at the Okinawa Convention Center (conference room A-2) in Ginowan City on Oct. 8-9. Visitors can enjoy demonstrations on how to wear this beautiful Japanese garment presented by the founder of the Sakura Bisou Kimono School. Admission is free at both locations. Credit cards (Visa, Master Card and American Express) and U.S. dollars are accepted at the Officers’ Club. Japanese yen are accepted at the off-base events only.